I just want to ask if there’s already a jurisprudence of Supreme Court taking the definition of pyschologically incapacitated, because according to some of the speakers from different forum that there’s already a Supreme Court definition of psychologically incapacitated… if there’s one what particular case or cases would it be? Hiwalay po aq mag 7 years na sa January.Kinasal po Kami sa mayor at year2009 kaso nagsama lng po kami ng aking asawa halos 2 taon lng dahil sa pananakit nya skin physical and emotional. Ngayon po nakapagisip isip q na baka pwedi q ng tuloyang hiwalayan lalot my roon na syang ibang babae. Pwedi nyo po bng ituro as akin f ano pong aking gagawin. Hello po..san po ako patulong or magpa advice at ano ang dapat kbg gawin para na annualled kasal nmin..
Psych incapacity is case to case basis. There are guidelines set down by Republic v. CA (Molina doctrine) and Santos doctrine. However, it is to note that it depends on the circumstances available. Pax, I won’t consider it as a definition, but more of a characterization. There’s no exact definition of psychological incapacity. Magkano po ba sa public attorney ang byad sir? I am married for seven years now and have two kids. 6 and 1 year old. 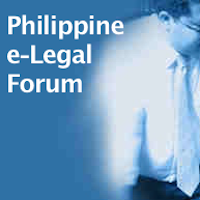 If me and my wife have agreed to file for an annulment due to irreconcilable differences which our problems have reached the barangay’s attention and the police abroad as well, will there be a chance for annulling our marriage? especially emotional and physical abuse is involved? will psychological incapacity be a strong ground for this? my wife will be filing an annulment and will be using the pyschological incapacitated against me..pero nag usap narin kami regarding this matter sabi nya eto na raw ang pinaka mabilis na process ng annulment..my questions are; can i still get marry? coz i heard kung sino lang ang nag file ng annulment sya lang ang pwedeng magpakasal at akong pinalabas na masama just to have an annulment sa marriage namin eh wala nang chance makapagpakasal?at meron pa bang akong karapatan sa mga kids namin? Tanong ko lang po may ground po ba para sa annulment. Kung finake lang ang marriage certificate para sa requirements sana ng issurance company. Pero nairegister pala ng agent ang fake marriage. Walang naganap na ceremony. Kumuha lang ng form tapos doon kami pina sign at siya na ang naglakad. Until recently we found out that its registered to nsa. Thank you po in advance. Marvinfg, I’m sorry I could not address your concerns because I don’t know all the facts and, more importantly, we’re prohibited from giving any legal advice. May I suggest that you read the other related articles in this site. Better still, discuss the grounds with your retained lawyer. Ilongranger, please note that collusion among the spouses is prohibited in annulment proceedings, and it’s the duty of the public prosecutor to determine that there’s none. There’s a debate on whether a person declared psychologically incapacitated should be allowed to remarry. For those in the affirmative, the reason is the assumption that people change and giving that person a second chance. Those in the negative argue that psychological incapacity is incurable, which means that the person should not be allowed to remarry. As the law stands today, however, even those declared as pscyhologically incapacitated can still remarry. hi sir. good day. i’m karen 24 yrs old. presently working in kuwait. i got married sept 2001 at the age of 18. after a year his mom took my husband here in kuwait to work. first year was ok sending text messages everyday, calling. but after a year everything change. communicating only after 2 -3 months and eventually we had lost our communication for almost 6 months. then something happened, his mom called me and told me that he was caught by policeman for illegal drugs and ask me if i wanted to see him here. ( he stayed here for more than 3 yrs before i came, but they only took me when he is already in prison) so i came here oct 2005 and decided to work while waiting for courts decision. he was sentenced to 5 yrs imprisonment on illegal drugs. luckily after almost 2yrs of imprisonment he was pardoned and sent back to philippines. we communicate through phone and things are entirely different now and we are having a lot of difficulties understanding each other. his attitude is somewhat different from what i had known him before. saying bad things if im not able to send money inside the prison, telling crazy things and accusations. with the mother in law doing certain things that is really against my will. it was last january when we decided to be on a separate ways, though we haven’t talk in person since we never had a chance here. we’re in good terms now. he’s back in the philippines. i have found a new muslim foreign partner in life recently and offering me a marriage. i just wanna know atty if its posible for me to remarry again? and can i file annulment here in kuwait? i heard his mom is planning to take him here on december, will it be easier if we’re both here? thank you so much. pls help me. .. Petitions for annulment between Filipinos, or those initiated by the Filipino spouse (in a marriage between a Filipino and a foreigner) may only be filed here in the Philippines. Good luck and God bless. Im an OFW and and would like to seek for my marriage to be annuled. Me and my husband has been separated for over two years now and he has got a daughter with the other woman. We got married in Marinduque and he is an American living in Kuwait. From my understanding, a Filipino living abroad can file the petition as Ã¯n absencia”. Now, would I have to file the petition where we got married or can I file it in a family court in Manila/Cavite? Half of the time I stay with my parents in Marinduque and half of it, I stay in Cavite. atty, good day! gusto ko lang malaman kung anong gagawin kong process kung annulment ba o void na talaga yung sa case ko. dito kasi ako sa dubai. kasi may gf ako dati, so nagpakasal kami.. papunta na sya ng japan nov 2005.. so nagpakasal kami nung ng nov 9 2005. kasi aalis na sya ng nov 24. nagsama kami nun. at tapos nakita ko wallet nya na may ID sya na iba ang surname. Surname ng isang Japanese. Inamin nya sakin na nagpakasal pala sya sa pinas mga april 2005 sa isang hapon. employer nya yun. spouse visa.. so ipinaliwanag nya sakin kung bakit ganun. so yun nga, dahil nga para lang makapagwork sya dun sa Japan. so pumayag na ako kasi kasal na din kami. after ilang months na makaalis sya eh nagkagalit na kami. nagkahiwalay. di ko na sya nakita. ngayon october 2007 na.. almost 2 years na kaming kasal. pero matagal ko na syang kinalimutan. nakamove on na ako sa ngyari. ngayon gusto ko alisin yung record namin sa NSO. ano bang pwede kong gawin. Void ba yun at walang bisa ang kasal namin? madali lang ba magawan nga paraan yung case ko? please help me atty kasi may gf ako dito sa Dubai, and we are planning to get married. pero magagawa ko lang yung kapag may certificate of no marriage akong naipakita dito sa philippine consulate dito sa dubai. at ang isa pa. alam kasi ng gf ko ngayon na single ako. please help me..
Hello atty. I am presently working as a call center agent. And my husband does not have work. Actually, even before that he has work, it does not make sense since “his money, is his money”. Even when he tried to give me money for expense, I am not accepting it, since when I accept it, I will be paying all his debts, which is much more that what he is about to give me. Anyway, I would like to file marriage annulment. Not only for economical violence (not having work) but because of physical and psychological violence. There are a lot of things that I would like to know since filing annulment is very expensive. First, how long would it take for this process? And secondly, how much? I heard the psychologist examination would cost 30k…ouch. How about if I do not have that money at hand? (I am a bread winner, living with my parents and brother and sister. My parents are just vendor of candle and and brother and sister are still both studying)I cannot afford that kind of consultation. Do you know anymore who would charge me much more lower than 30k? I am asking for assistance too at Public Attorney’s Office, but still the atty told me that the psychological consultation is not free. It is still 30k. Aside from the doctor’s fee, what other expense would I need to pay? Can I pay it in installment if ever? Do I have to pay for my husband’s psychological exacm since he does not have work? Thanks for any assistance you may give. We’re planning to write an article related to your post, so please drop by from time to time. Thanks. We have come across so many cases where the parties were really not serious in getting into the marriage…but got stuck because the act of getting married has serioous legal repercussions that can’t be made to go away with a snap of a finger. Getting in is cheaper…getting out is definitely not. There are several posts to the effect that even if a marriage is null and void from the very beginning, a petition MUST be filed in court to declare its nullity. Good luck. Some of your questions are actually addressed by this post…so kindly scroll up. As to the rest of your questions, matters on fees are properly discussed privately with the lawyer that you’re going to retain, so we couldn’t discuss that here. Raise these matters during your initial discussion with your lawyer. Good luck and God bless. First off, thank the heaven I found this site! I’ve been looking for someone who can help us with our situation. I recently found out that my fiancee has underwent more of a “doctored” civil wedding when she got pregnant 7 years ago. I still want to walk her down the isle but I’d like to clean the slate first, so to speak. Here are the facts: 1. Her ex-husband was only 17 when they were married but the copy of their contract was anti-dated showing him as 18(married a month before his 18th bday, anti-dated a month after his 18th birthday) in the contract and the place was different as well as the residing fiscal. 2. Only weeks after the marriage, she decided to go back to her parents because she found out she cant raise her son that well around her inlaws and the irresponsibility of the husband. 3. They have had no communication since then until recently when their son got a first honor medal at school. He now has a life of his own (ex-husband) and is also wanting to have everything cleared. How should we go about this matter without further inflicting any damage to any parties? Is a petition for nullity an option for us? We don’t know yet if the marriage was registered in NSO but I’ve already requested a copy of CENOMAR from them. If she’s cleared, is it lawful proof enough that she can marry me? Please Advise. Thank you so much in advance. I have been separated for 4 years already. My husband is a drug addict and everything so everyone is telling me to file for anullment. But the thing is, I am not mentally and emotionally capacitated to fight for an anullment in court. Not to mention the fact that I know it would benefit him more, you know, the remarrying thing. Well, here’s my problem: I want to revert to using my maiden name. I want to drop his surname and use my maiden name in all my transactions. Is it legal? What should I do in order to have a reversion of name in my public documents (PRC, Philhealth, SSS, etc) I am also planning on applying for a passport. Can I apply under my maiden name while declaring that I am a married woman? i was 18 yo when i got married with consent from my parents. my wife and i lived for almost 2 years together. but we ended up parting ways because of our differences and fights. we got married 2001 and parted mid 2002. we have a daughter, i go to her mother to see her from time to time. but my wife i rarely see and we dont know whats going on with our lives. i communicate with her rarely, once or twice a year just to ask about our daughter. is there any ground so i can file an annulment? and how much would i need roughly? because i want to remarry when the time comes. Hi atty fred. I am currentlly working abroad. My wife and I got separated 3 years ago. We got married on 2003 in her native province of batangas. After almost 2 years, she admitted that she wanted separation because of another man. My question is, can I file an annulment even if im here in dubai without the need to go in the philippines for hearing purposes?